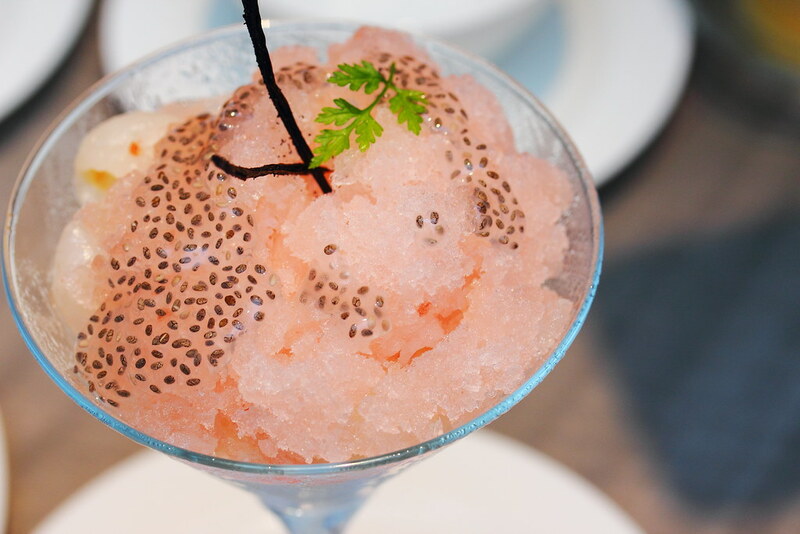 Jiang Nan Chun at Four Seasons Hotel Singapore has finally re-opened after months long renovation. Spotting an elegant interiors and furnishings from the wood cravings to the handmade ceramic floor titles, the restaurant manifests the beautiful river villages along the south of Yangtze river. It felt like having a gastronomic dining experience on board an ancient junk, sailing through a calm Yangtze river. Besides fine wine and premium tea, Jiang Nan Chun has 8 exclusive cocktails that concocts whiskey and sake with tea. 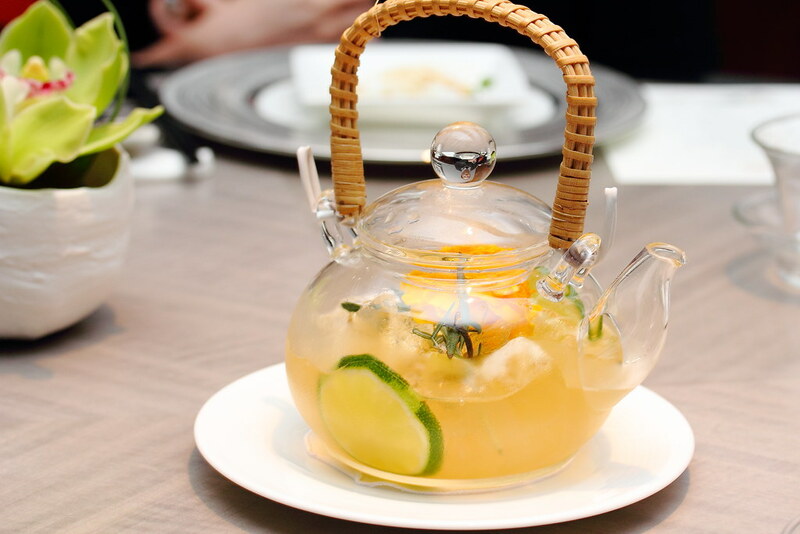 I have something light, fruity and refreshing in the Alfonso Tea ($11/pax). For a change and something different, the easy to drink tea cocktail will be a good choice to pair with food. 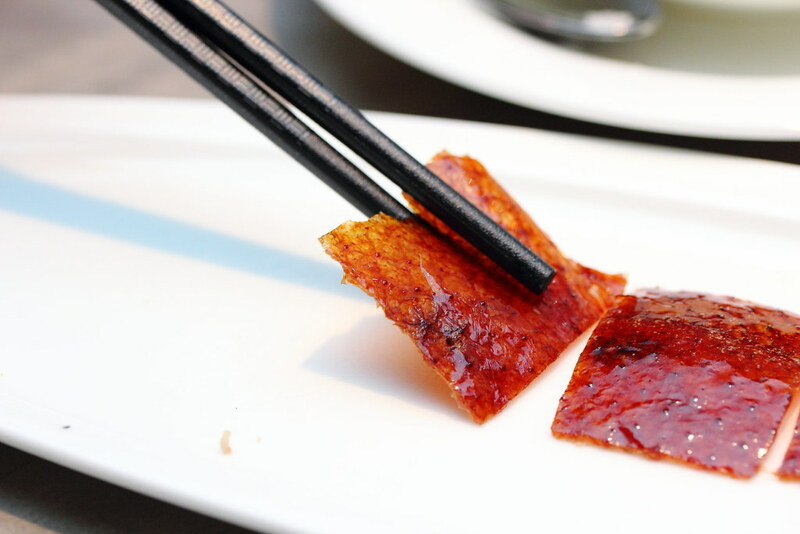 A visit to Jiang Nan Chun is not complete without having the Signature Jiang Nan Chun Peking Duck ($98/duck). Undergo 14 hours of preparation and roasted in a customised mesquite wood oven, the duck carves at table side emits an aromatic scent when it makes its entry. There is three ways to enjoy the peking duck. First, the thinly sliced skin is dipped with sugar to appreciate the crispiness and aromatic scent that has infused into the skin during the roasting process. 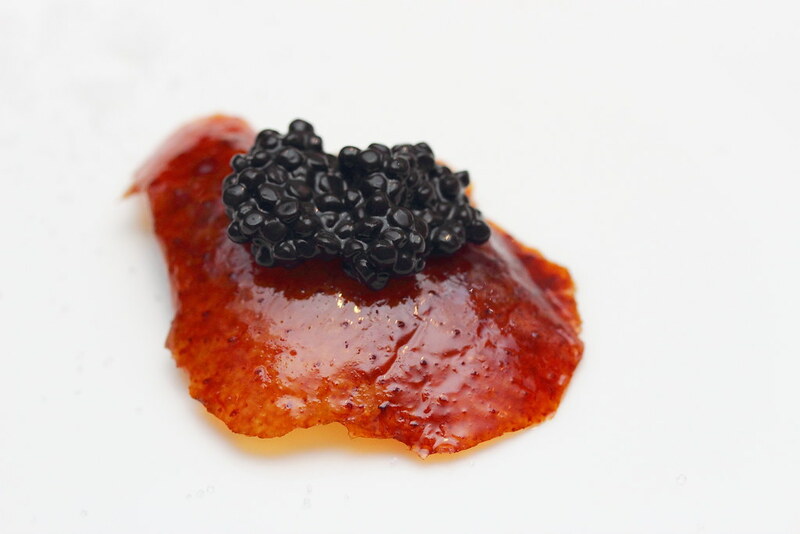 The second way to enjoy the peking duck's skin is to topped it with caviar. This is my first time being introduced to the way of eating it. I am surprise how the combination elevated the whole enjoyment to the next level, giving it an umami punch. 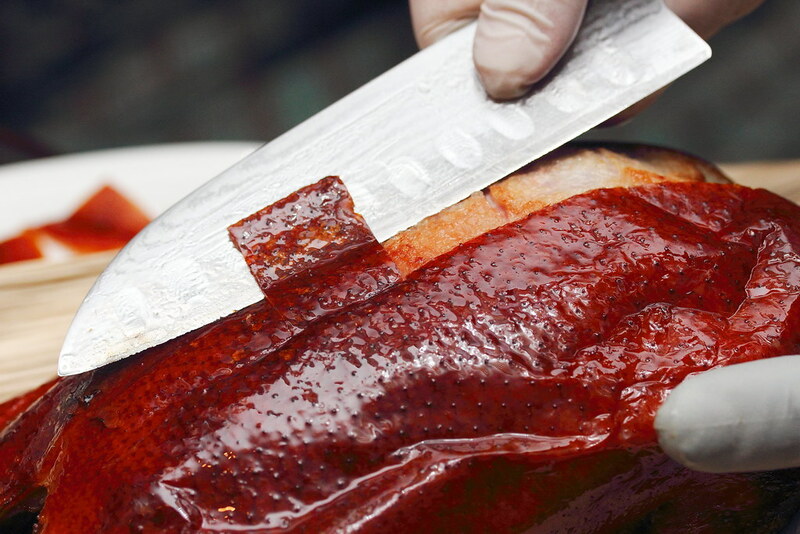 The last way to enjoy the peking duck is the tradition method of eating it as a wrap. Diners have a choice between the plain and scallion wraps. It also comes with two dfferent sauces. 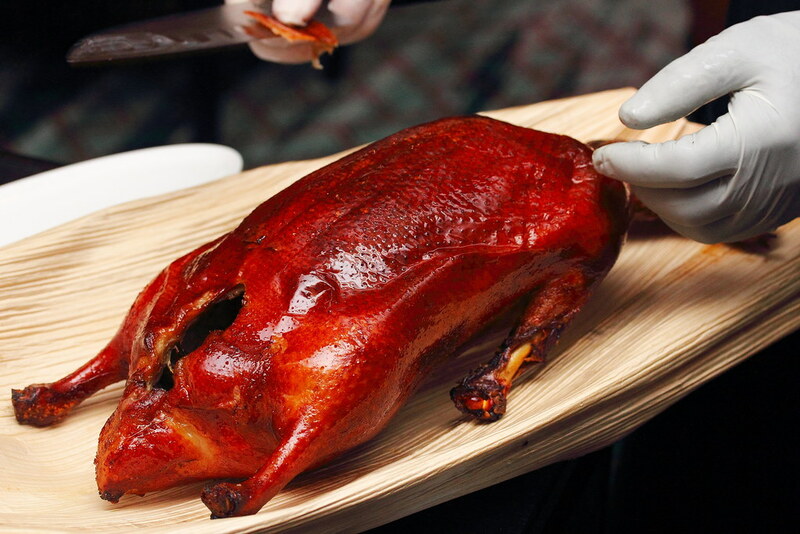 One salty and one sweet, the Peking and Cantonese style of eating peking duck. 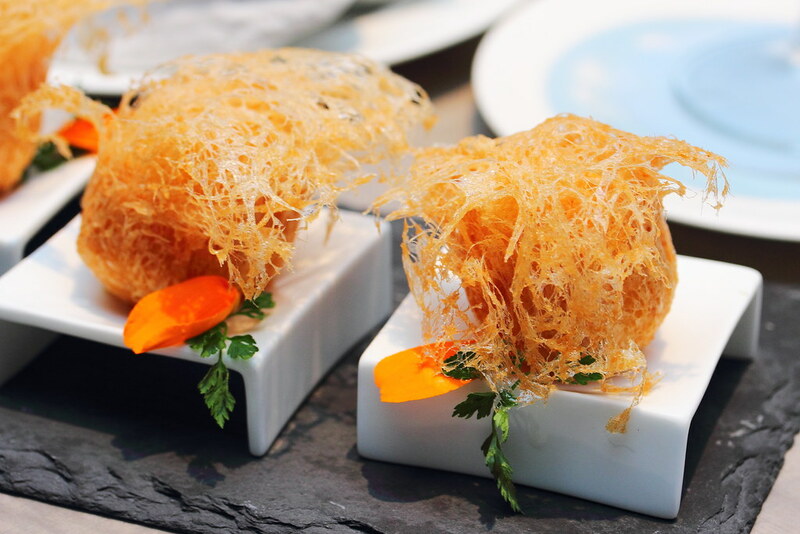 Besides the peking duck, the Soft Shell Prawns with Sliced Almond and Crispy Rice ($15 per serving) is a must try. 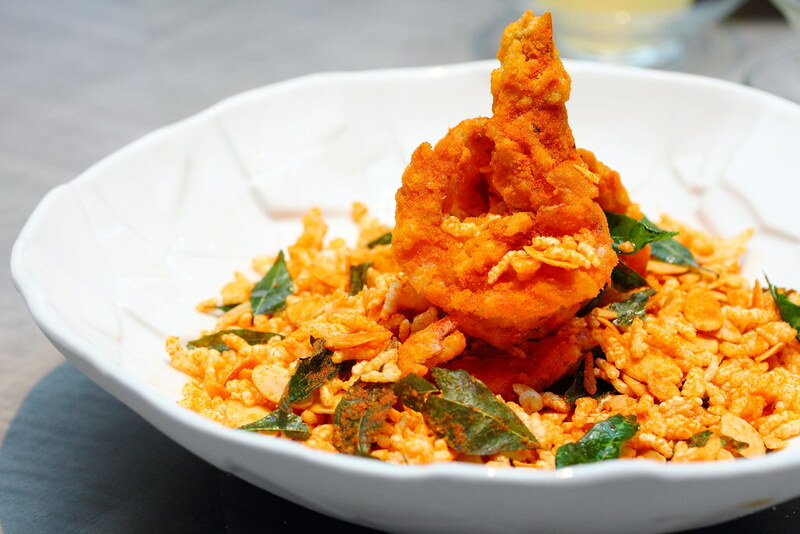 The soft shell prawn with almond and crispy rice are coated in a very special spiced sauce that is very addictive. The sauce somehow reminds me of eating potato chips. You just can't stop at one. 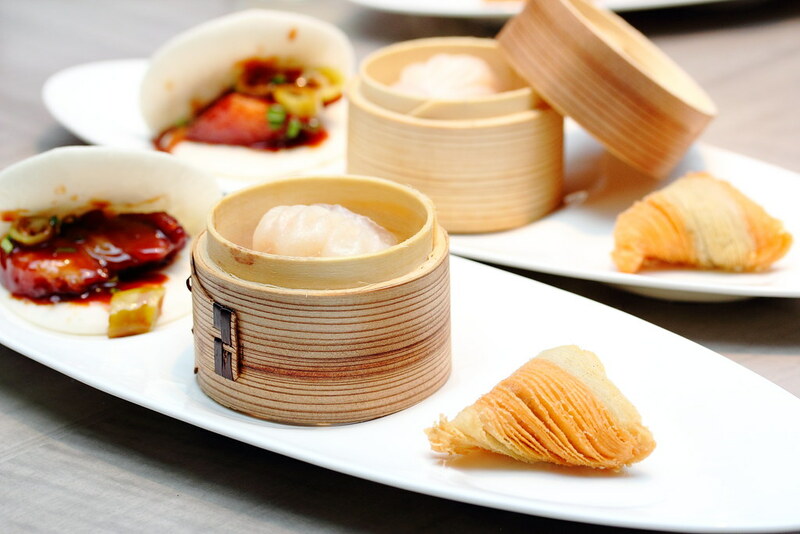 Next up is the Dim Sum Trio that gives a glimpse of the dim sum offering at Jiang Nan Chun. On the plate there is the Crispy Puff Pastry with Black Pepper Beef ($3/pc), Steamed Shrimp Dumpling with Eryngii Mushroom ($2/pc) and Char Siew Sliders with Pickled Green Chilli ($15 per serving). Different from other dim sum places, the serving here is by individual portion and hence diners can try a bit of everything. The crispy puff pastry stood out with its texture that is made up of impressive 17 layers of pastry skins. The kurobuta pork done in char siew style provide a fresh air to the usual kong bak pau too. 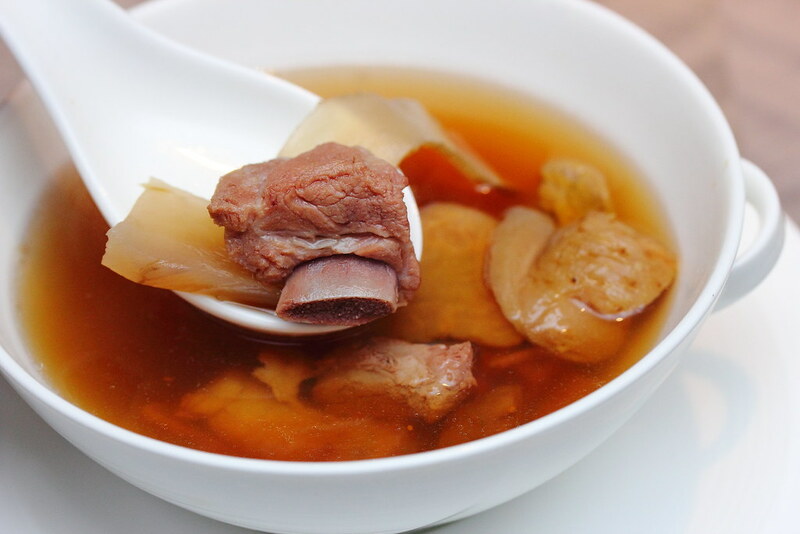 The double boiled Sea Whelk Soup ($38/pax) comes with Maka Ginseng, Dried Scallops and Pork Ribs. The soup is light but yet rich in flavour, well extracting the essence of the ingredients for a nourishing and comforting bowl of double boiled soup. 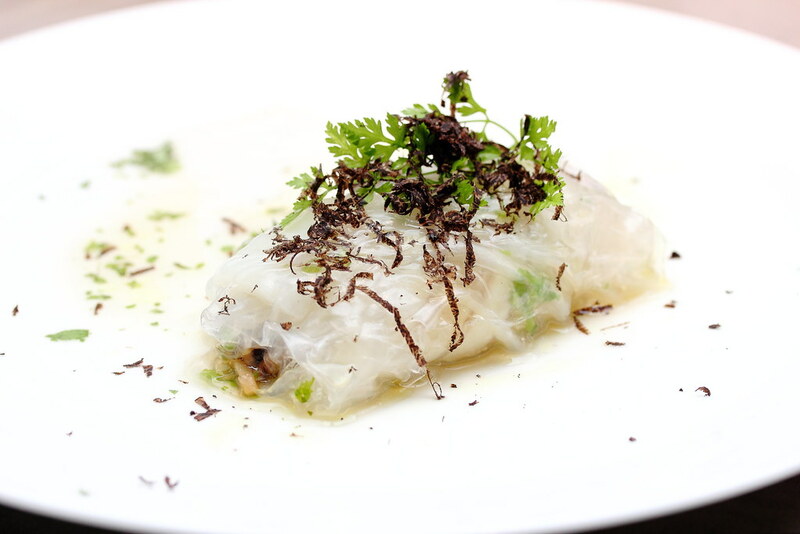 I was very impressed with this dish, Steamed Cod Stuffed with Mushrooms and Water Chestnuts in Paper Roll ($38/pax). Initially I thought the cod dish was wrapped in cabbage but it turned out to be rice paper roll. Those that used for Vietnamese roll. 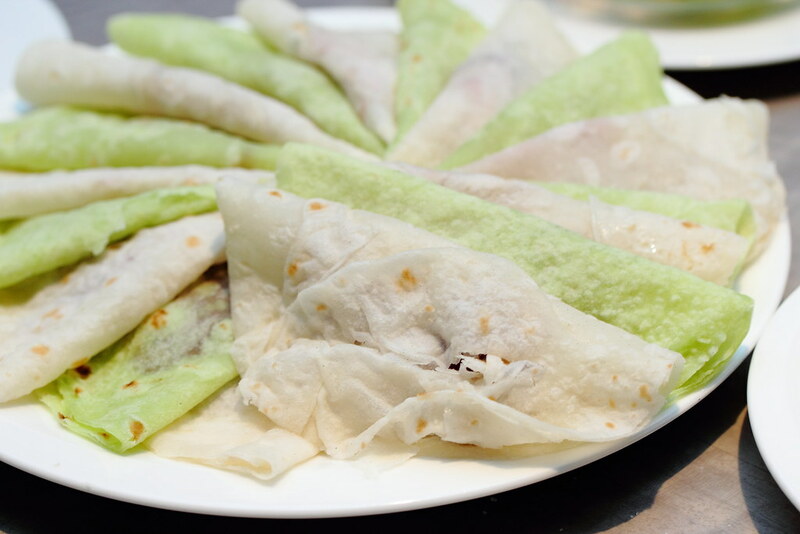 The wrap not only holds the flavours from the cod fish, mushrooms and water chestnuts together, at the same time did not interfere or steal the show from the main casts. 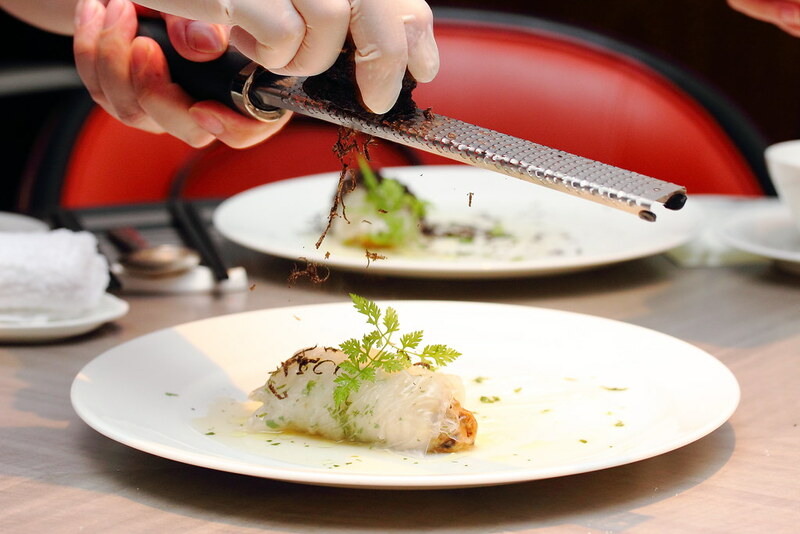 The shaved truffle is like jewels on the crown, elevating the flavours to a new dimension. For a fine dining restaurant like Jiang Nan Chun, I was rather surprise to see claypot dishes on their menu. In actual fact, there are 11 claypot dishes on the menu. I only manage to try the Wagyu Beef Oxtail with Lemongrass Infused Oil ($32 per serving). 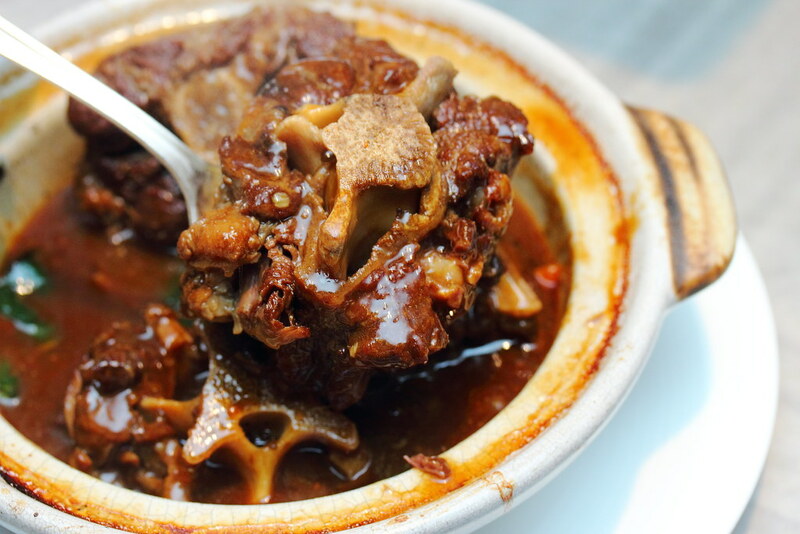 Comes in a rich and robust sauce, the wagyu beef oxtail literally melted in the mouth after a good 30 hours of slowing cooking it. It is one of those dishes that you simply cannot resist ordering a bowl of rice to go with it. The Avocado Cream dessert ($14/pax) was a bit disappointing for me. 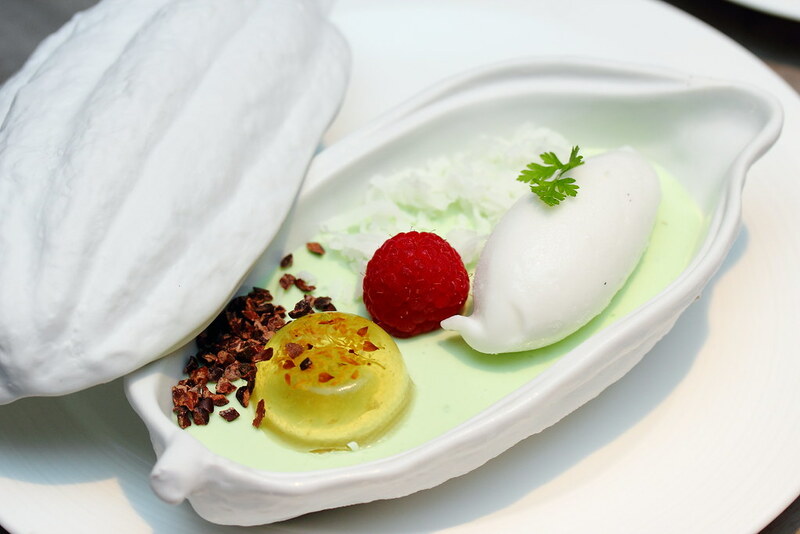 While I like the coconut sorbet, osmanthus jelly and the cocoa nibs the whole execution felt like a family where the members don't communicate with one another. The Sour Plum Granite ($14/pax) with yoghurt cream, mung beans, longan and chia seed was kind of complex with the different layers of flavours. I would rather have it simple and refreshing without the others distraction. Do be careful when eating the Crispy Puff Pastry with Almond Cream ($12/pax). Encased inside the crispy puff pastry is the lava almond cream which will ooze out like your liu sha bao. I thought the shape looks a bit like a yam basket and if the almond cream can be substituted with orh nee, that will be more exciting. The newly revitalized Jiang Nan Chun embodies the concept of Xiang Le Zhu Yi or the principle of enjoyment and happiness, which implies that food has the ability to transcend the body's appetites to fulfill the aspirations of the mind and soul. This makes how and why you eat as important as what you eat.